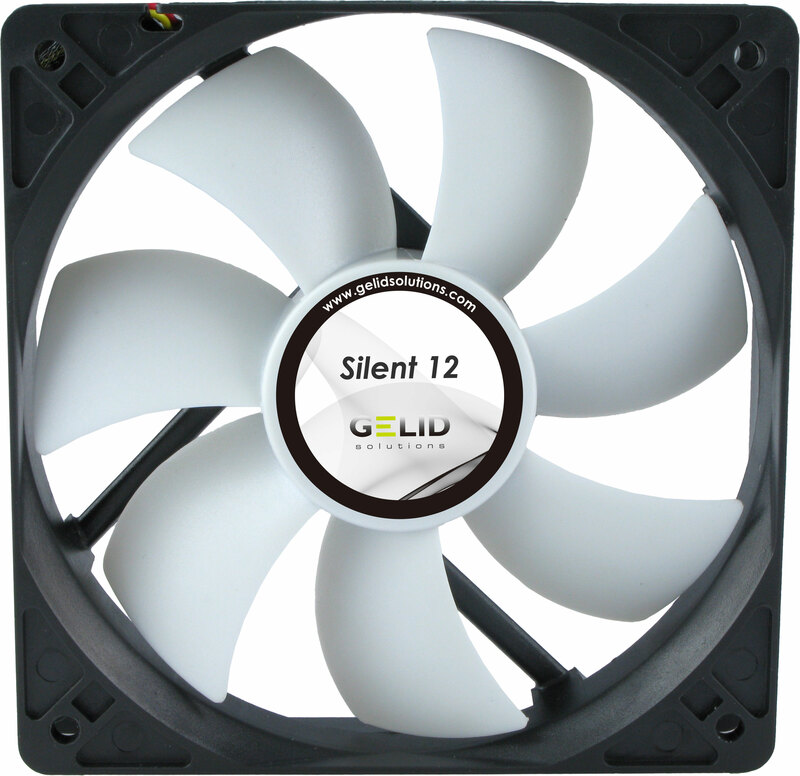 Designed for Silent enthusiasts Gelid Silent case fans provide additional airflow without increasing noise levels and at affordable price. Precisely balanced fan blades and long life Hydro Dynamic bearing guarantee ultra low noise. Furthermore, fan mounts replace traditional screws which are made of high quality, temperature resistant, extra long lasting rubber. They are designed to stop vibrations from the fan motor transferring into your PC case. Whisper or you'll not hear it! I bought a pair of these to go in the front of my Antec 300 case which is loaded with hard drives - 3 RAID1 pairs with a fourth to be added shortly. The machine is still not silent but is much closer to it. The two fans share one three pin mobo connector and both run full speed but are inaudible. Hard to beat - indeed impossible at this price!